As a professional woman in this modern world, I am always drawn towards multi-purpose and skin-kind formulas that perform. 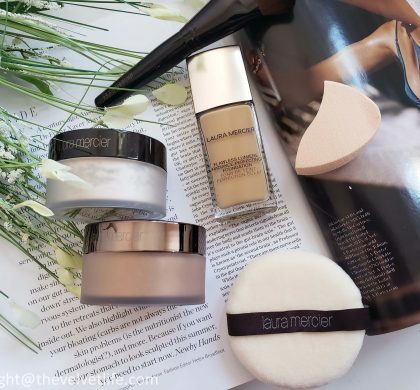 I always reach for products that are simple to use, work well for my skin, and enhance my look with fewer steps and fewer products. 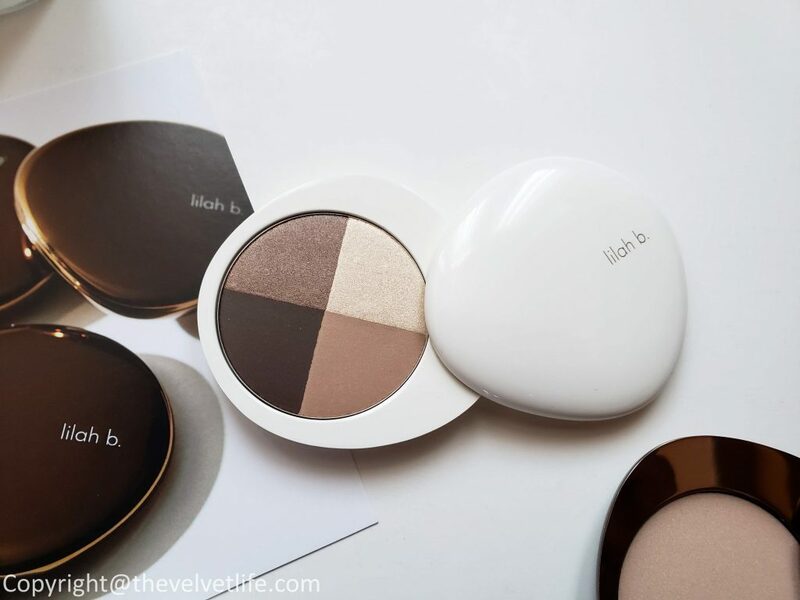 lilah b. has a minimalistic collection of color with high performance and are multi-purpose that offer classic colors with sophisticated twists and luxurious textures. lilah b. products are formulated without gluten, parabens, phthalates, sulfates, and synthetic fragrances. They are vegan and cruelty-free. 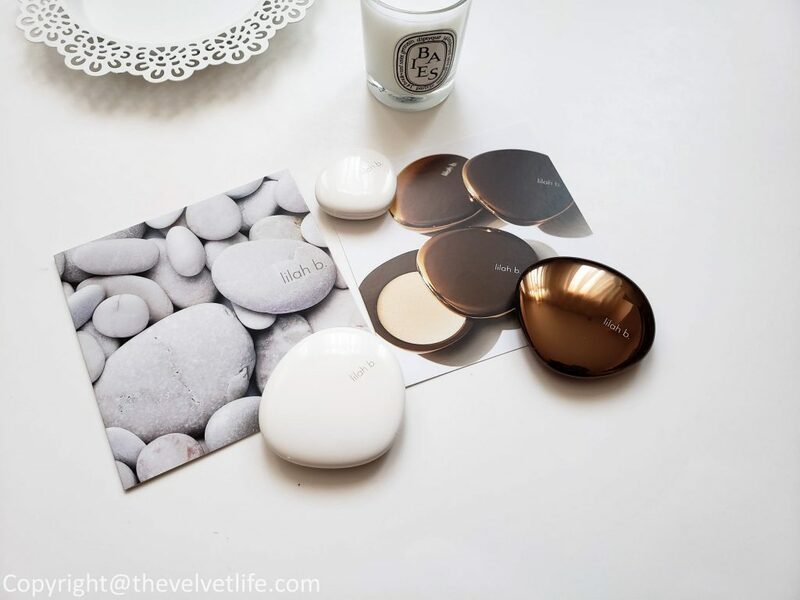 lilah b. believes in ‘We believe with less, you are more.’ and allows women to achieve a finished look with fewer products, encouraging movement to declutter, minimize, and simplify. 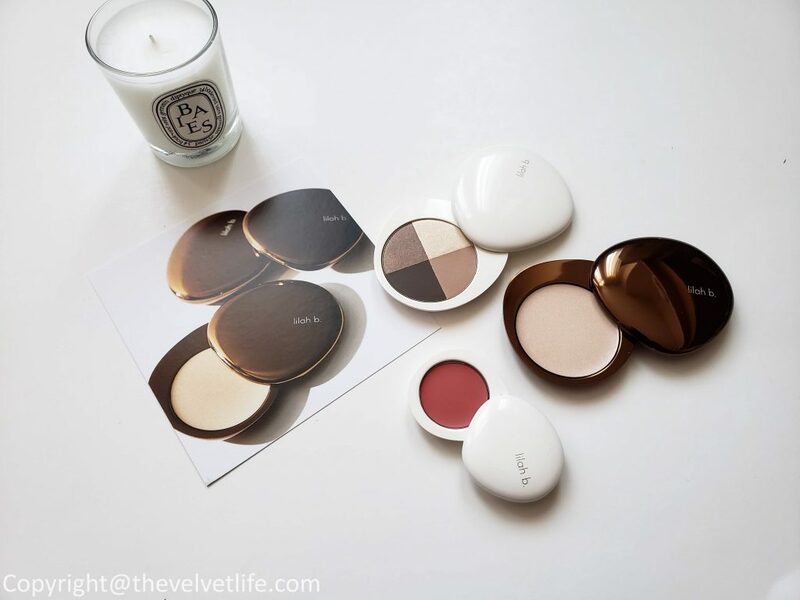 The brand’s thoughtfully-designed, stone-shaped sleek and modern compacts, inspired by the beaches of Southern Italy, reiterate the company’s grab-and-go minimalist approach. 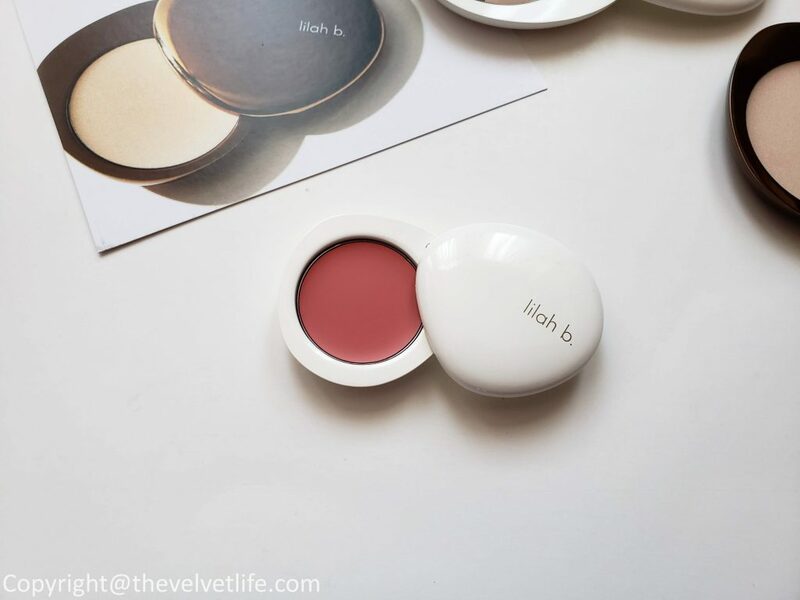 Lilah pays homage to a mentor in the life of the founder of the brand and the b. stands for beauty, which is cleverly worked into product shade names like b. fearless, b. lovely, and b. original. 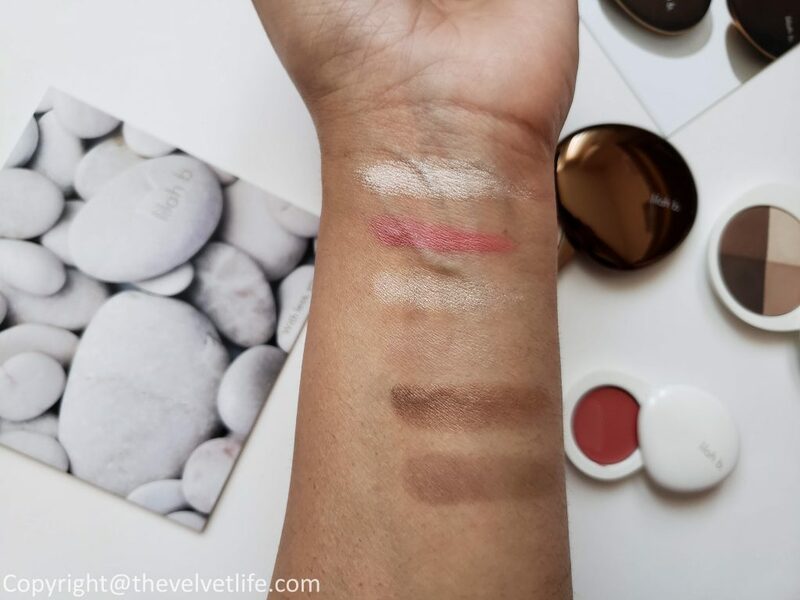 I have been using and loving the Glisten & Glow, Divine Duo Lip & Cheek, and Palette Perfection Eye Quad from the brand. This is a very subtle highlighter and glides on effortlessly on the skin. 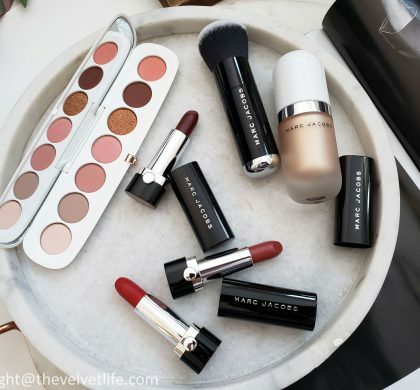 The shade is light champagne and is sheer but buildable. 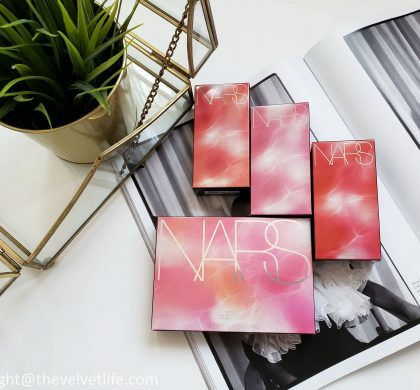 It gives the most natural glow, makes the skin look fresh, dewy, and luminous. The texture of the product is creamy and soft. 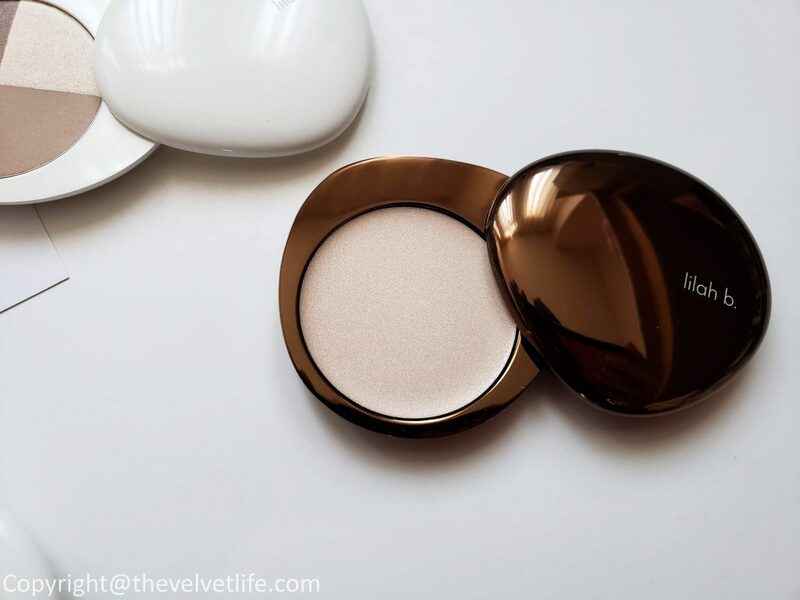 It is the perfect all-over highlighter, I use it on my brow bone, highpoints of my cheeks, a little on the centre of my brows going towards the forehead, the bridge of my nose, my collar bones, and even the top of the arms if I am wearing the sleeveless top. The added skincare benefits into the products are a plus. I really like the multi-purpose use of the products from this brand. The creamy texture of this lip & cheek duo blends so well into the skin on the cheeks and looks great on the lips, without making my lip drier or emphasizing the dryness. The pigmentation is as to give a nice color and buildable as required. It does works great as an eyeshadow too. I really like the shade b.true which is mauve and pink kind of shade. It gives a very natural flush to the cheeks and nice natural pinky lips on my skin tone. This shade would be great for most of the skin tones for the natural flush and color. The palette b. stunning is a perfect combination of four brown brown/neutral shades that I wear every day. I use the light champagne shade as a highlighter in between my eyes, the Browns are great for a simple everyday eye look. For a nighttime look, I just wet my brush and apply to the palette and get even more intense hues. The darkest brown shade can be applied wet as an eyeliner. The look is simple but chic which I always prefer. It is a multi-use palette, perfect for both day and night, natural and chic, night and intense kind of look. Overall, a really nice, as-claimed multi-purpose products that work and perform. Everything about the products, their packaging is classic and elegant. lilah b. products are available at Sephora.ca, Holt Renfrew, Net-A-Porter, lilahbeauty.com (in the USA).